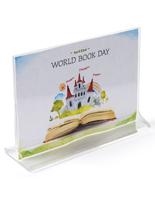 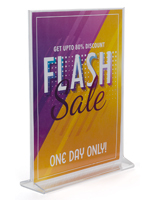 Discount Picture Frame - 6" wide x 4" high top loading vertical sign holder. 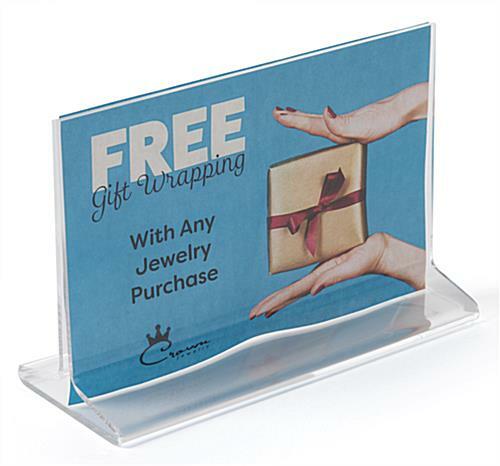 Paper slips in easily through the top and sides. 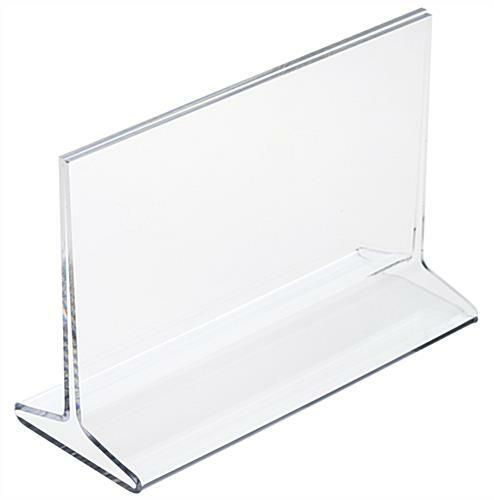 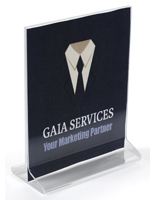 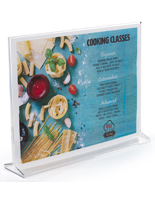 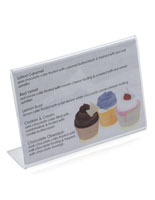 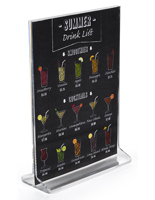 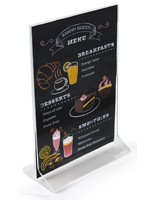 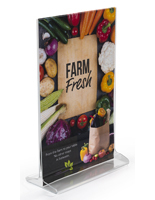 An ideal table or counter display for any restaurant, hotel or point of purchase display needs.